What should transit officials do to cut congestion on the Chesapeake Bay Bridge? 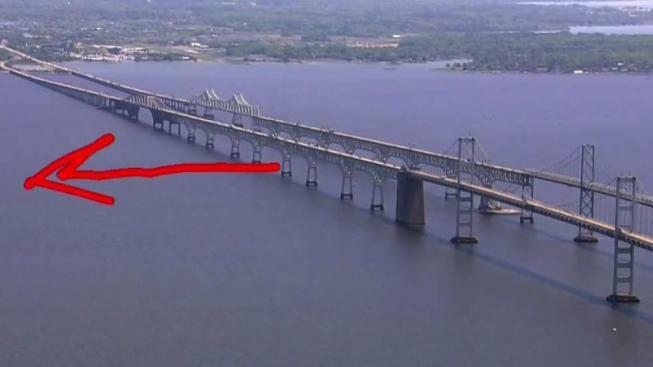 The Maryland Transportation Authority is hosting a series of public meetings regarding a study of traffic capacity and access across the Chesapeake Bay. The Bay Crossing Study is aimed at addressing congestion on the Chesapeake Bay Bridge and evaluating the feasibility of new crossings. The possibilities including adding lanes to the bridge, adding additional spans, using ferries, building a tunnel or just leaving the bridge as it is. Reporting from Chopper4, News4's Adam Tuss showed what these could look like. The series of six meetings is set to begin Tuesday at Calvert High School in Prince Frederick and conclude May 22 at Chesapeake College in Wye Mills. MDTA staff will be available to answer questions, but there will be no formal presentations. The range of possible new corridors will not be identified until later this year. A 2015 study found that the existing bridge can be maintained in safe condition through 2065, but that there will be significant daily backups by 2040 in the summer months without additional crossing capacity. Go here to see the full list of public meetings.